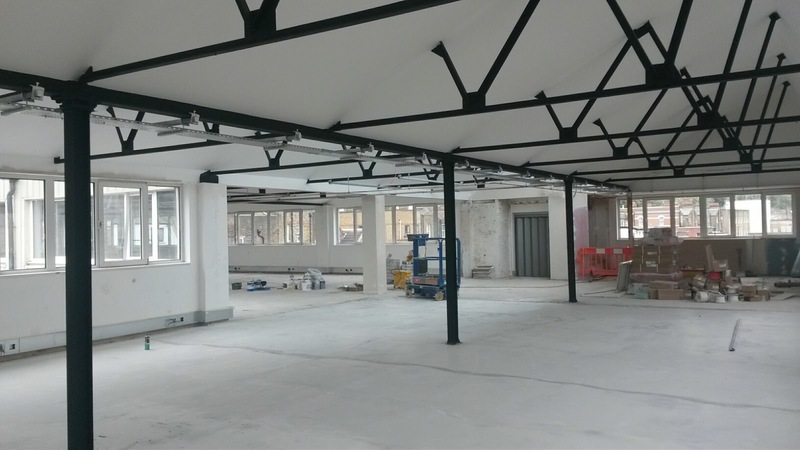 We are delighted to unveil the fantastic progress being made at our industrial fit-out project at the Swan Centre, Chiswick. Roof insulation works are now complete on the second floor of this 3 storey industrial unit, which has allowed M&E works to commence. Decorations have also begun and all steels have been painted (pictured). 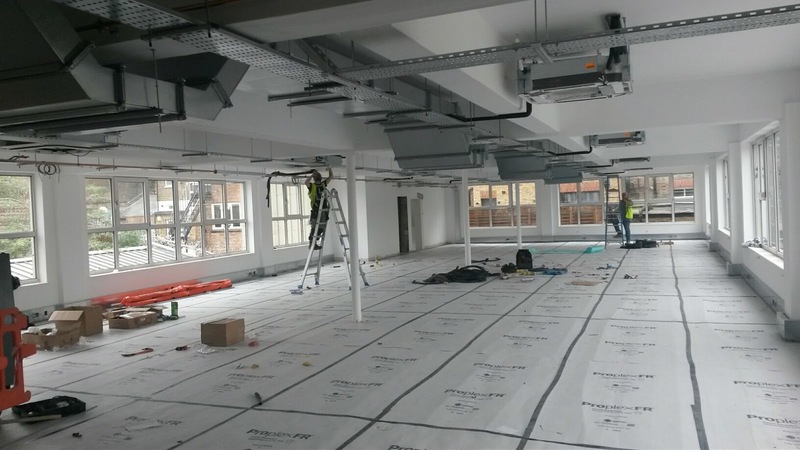 First floor works are also progressing nicely, with laminate flooring, decorations and window panel replacement all complete, alongside the progressing installation of the M&E duct and ventilation system (pictured). 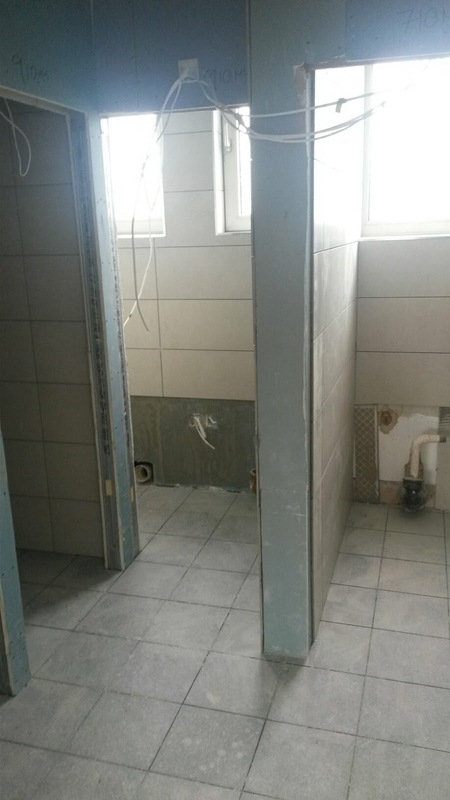 Elsewhere on site, ceramic tiling is complete in all toilet and shower areas. Works at this exclusive development will see us transform this tired industrial building in to modern, high quality offices with a unique funky twist.